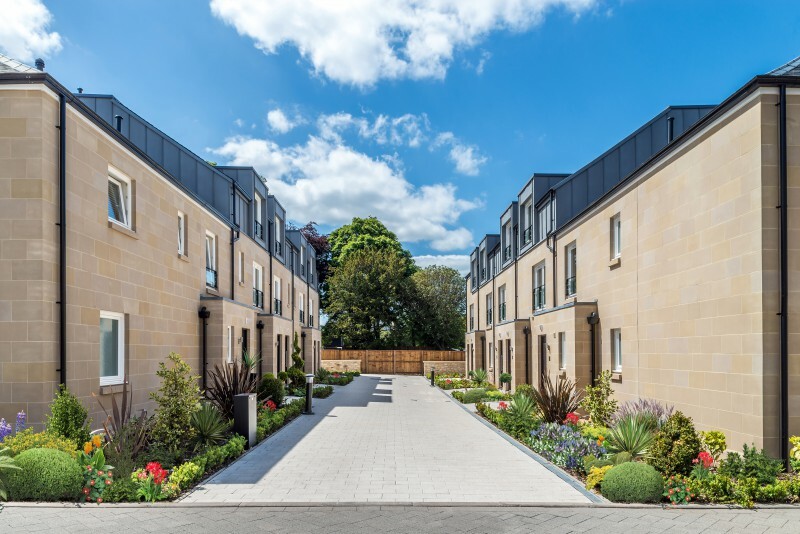 Luxury house builder, CALA Homes, is defying stereotypes with its townhouses – which offer a modern twist on the traditional Edinburgh Mews. The respected builder has taken the much-loved, terraced property layout and dramatically resized it for the modern market. Now, CALA East has completed its Mews “viewhome” which will be available to house hunters for a limited time only. Just two of CALA’s Drummond Mews homes at Trinity Park remain, featuring exclusive garages and a wealth of interior space – including a convenient downstairs study and the spacious open plan kitchen and dining area which leads out to an attractive rear garden. The first floor of the £530,000 properties feature a roomy lounge and master bedroom, whilst the top floor offers further optimum living with two large bedrooms, and family bathroom. The viewhome has been specifically designed to give buyers a ‘last chance’ look inside these generous properties before the last two are sold. Sarah Stanger, Sales and Marketing Director at CALA Homes (East), urged buyers that the view home will provide a last chance to snap up one of the luxury homes. She said: “We only have two Drummond properties left – and we have decided to complete the viewhome to give buyers a last chance insight to the luxury that is available to buy. “People in Edinburgh love the charm of Mews properties but tend to associate them with small, often compromised cottage-like interiors with little storage space. “We’ve taken the attractive terraced feel of a Mews-type lane and super-sized it for the needs of modern living, so that they offer the best of both worlds. “Our Mews properties are around 1600 sq ft on average offering plenty of living space across three floors and with garages, gardens and big kitchens, all hugely attractive, particularly for families. “While they might not be the Mews that people are expecting, they are most definitely the kind of Mews that people want for life in the 21st century. The properties benefit from the added bonus of being part of the thriving community at Trinity Park, which has garnered numerous awards and plaudits with its New Town inspired layout, dimensions and elegance. Situated in one of the capitals most desirable areas, less than three miles from the heart of the capital, the properties cater for all prospective house buyers, from young professionals, growing families and downsizers. The properties also offer CALA’s fantastic part exchange service. This service guarantees, subject to status and acceptance, a fair market price for your property making the move as swift and easy as possible for those juggling busy work and family lives. CALA Homes, the UK’s most upmarket major homebuilder, is headquartered in Scotland and employs more than 600 people. Its reputation was earned on the high quality of the homes it builds in developments which are sensitively designed to augment the areas in which they are located. The result is that its homes are not only highly sought after, but retain their value over decades and earn loyalty from owners, who often live in a series of CALA properties.